Raw, soulful, and with plenty of swagger, Town Mountain has earned raves for their hard-driving sound, their in-house songwriting and the honky-tonk edge that permeates their exhilarating live performances, whether in a packed club or at a sold-out festival. The hearty base of Town Mountain’s music is the first and second generation of bluegrass spiced with country, old school rock ‘n’ roll, and boogie-woogie. 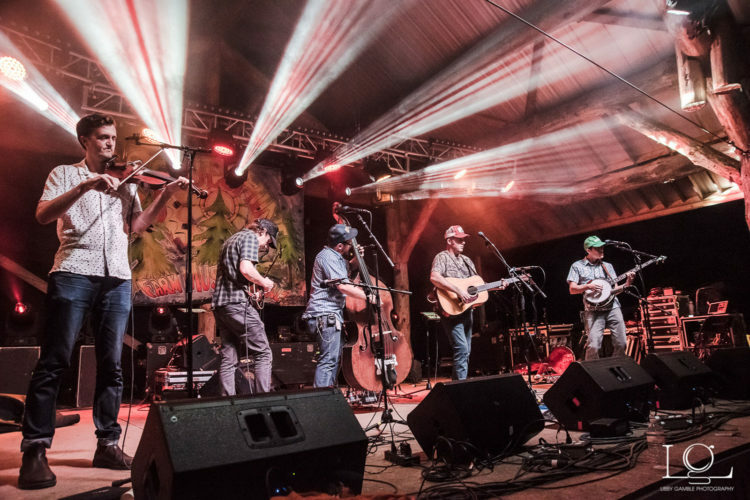 It’s what else goes into the mix that brings it all to life both on stage and on record and reflects the group’s wide-ranging influences – from the Grateful Dead’s Jerry Garcia and the ethereal lyrics of Robert Hunter, to the honest, vintage country of Willie, Waylon, and Merle. The Bend Bulletin’s Brian McElhiney says Town Mountain, “has serious country and rock ’n’ roll DNA.” Town Mountain features guitarist and vocalist Robert Greer, banjoist Jesse Langlais, mandolinist Phil Barker, fiddler Bobby Britt, and Zach Smith on bass. Released October 26th, Town Mountain’s latest album New Freedom Blues (2018) is full of new material and features several guest artists including Tyler Childers who co-wrote one of the songs, Miles Miller (Sturgill Simpson, drummer), and other friends. Their prior album, Southern Crescent (April 1, 2016), debuted at #4 on the Billboard Bluegrass Chart while staying for ten weeks on the Americana Music Association’s radio chart Top 40, and widely considered one of the best bluegrass albums of that year.